It’s been a rainy, drizzly, foggy kind of day. 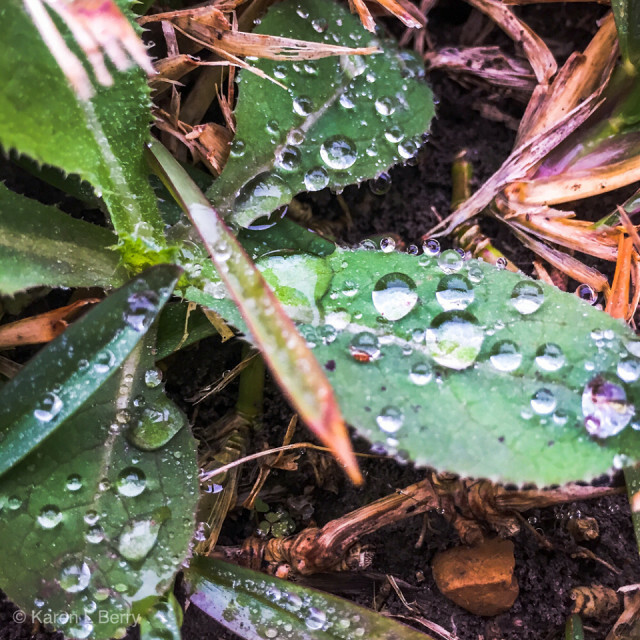 But the raindrops on the grass (and weeds) make for a pretty blip! We went to The Cheesecake Factory for lunch. There was a bit of a wait, but well worth it. There must’ve been a cheerleading convention or competition because preppy girls of all ages with matchy-matchy hairstyles (and plenty of big hair bows) were all over the restaurant.